Its getting chilly outside, which means soup and stew season is just around the corner. As the weather cools down outside, our bodies start to crave warming winter foods. 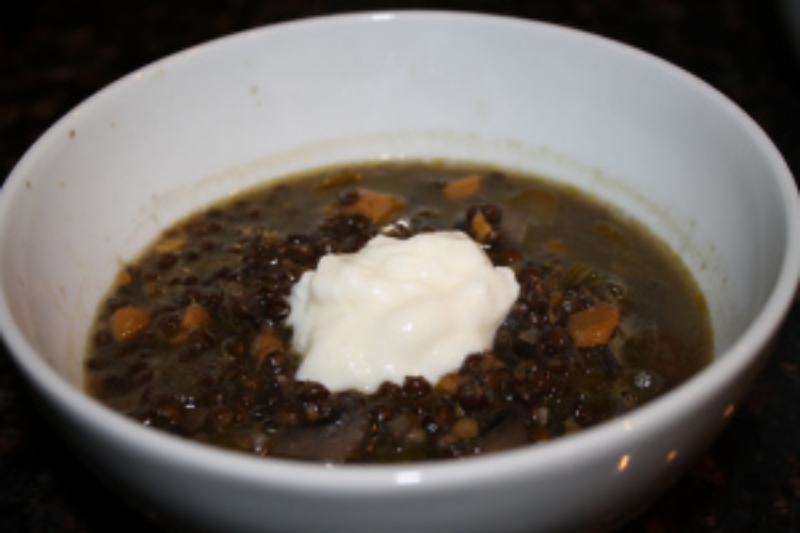 No better start to the winter season than this yummy and hearty Lentil soup. Soups can be a quick and easy dinner that is sure to taste even better as your next days lunch. This Lentil soup packs a punch with both nutrients and its hearty flavors. Add broth, water, thyme, salt and pepper and bring to a boil. Pour in lentils and cover. Simmer on low for 30-40 minutes or until lentils become soft.